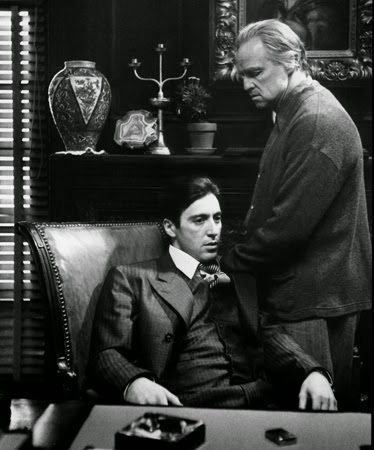 Michael and Vito Corleone of the movie "The Godfather"
Don Corleone: Well, Michael's head of the family now and if he gives his permission then you have my blessing. To give up authority and power is hard. But if you want your organization to survive and keep fulfilling its mission, then you’ve got to be realistic and painstakingly prepare the next generation leaders and plan your exit. 1) Delegate not just tasks but authority as well. This philosophy of Warren Buffett on delegation works and he has $70.1 Billion and Berkshire Hathaway, the fourth most valuable public company in the U.S. with a market capitalization of $355 billion to prove it. Don’t be a "run-to-the-rescue" leader when failure comes knocking on the door. It will only delay the growth of people as leaders. Let them take responsibility for the success and failure of the organization. 4) Although tempting, don’t interfere or try to micromanage. As long as they’re fulfilling the mission and preserving the core values of the organization, don’t try to interfere by trying to align their methods to yours. 5) Don’t let insecurity keep you from giving power to others. Give the next generation leaders resources, encouragement, and credit. See the best in them, and inspire them to reach their potential. 6) Learn from our highest authority who gave up his position to reach out to us. And then empowered us to carry out the mission. 1) Do you consistently ask yourself the question, “who is next in line”? 2) Are you preparing the next generation leaders? Will your corporation, organization, small group or ministry survive beyond you? 3) What’s keeping you from passing the baton?